indulge in road rage. No, I have never done that but I am so very close! My driving skills are pretty decent and over the time I believe they have become a little more than pretty decent as I have no choice but to drive! Luckily, my nearly 6-year old i10’s gearbox can’t vouch for my driving skills! (I do need an automatic next!). But if one wants to hear the choicest of words flowing mellifluously from my mouth it is when I am driving and driving alone! I am an extremely patient driver and a stickler of traffic rules which unfortunately doesn’t go down too well in my lovely millennium city. The car driver behind me can toot his horn endlessly asking me to jump a red light as there is no police stationed there! And so many other imbecile drivers exist that the choicest of words that I mumble thankfully remain within the car! I do fantasize many times having a super unbreakable car which could hit *bang bang bang* against all those cars that really flout all the traffic rules! Unfortunately, my expression of this lovely fantasy didn’t go down well with my mom and a friend with whom I shared delightedly. Instead I could see a look of appall on their faces! Plan of action: I intend to just cool down and take a few deep breaths and drive on! take my bad hair days so seriously that I start to get depressed and get them chopped from my waist length to neck in a matter of a few seconds. It’s not that I don’t like my very short urbane haircut, I just can’t seem to maintain it! 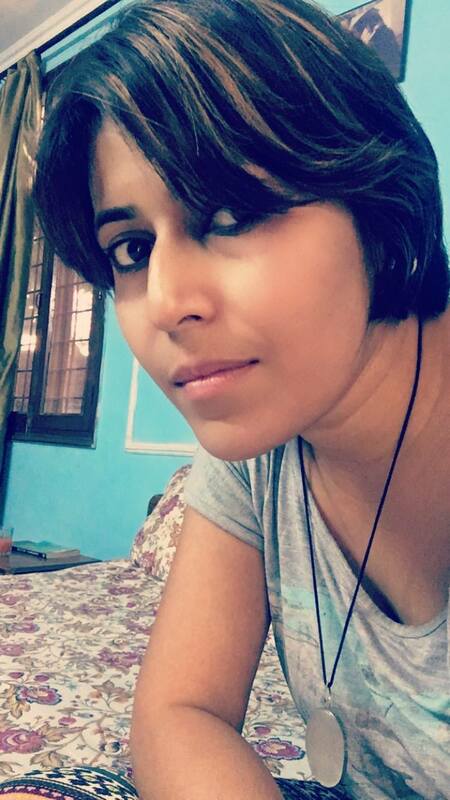 Most of the time it looks like a mushroom placed on my scalp and on worse hair days, I am reminded of Inspector Happu Singh ji from the tv serial, ‘bhabhijee ghar par hai.’ (see pic below) Plan of action: Those 300 of 365 days of my bad hair days can be tied down to a bun or a pony. write blogs that are sad! that’s what my daughter said to me the last time – why are they mostly sad. I never thought they were sad but then most dilemmas are sad, no? Plan of action: I will attempt to write happier stuff! day dream! oh yes, this will be the toughest of all but I will emerge victorious! While I jog usually which is first thing in the day, I enter a different zone right away and I doubt if I am out of it all day! Plan of action: A virtual slap on my face for every time I step into my crazy, twisted vicarious world. I am sure once I press the ‘post’ button I would remember a few more “not to do” things but let me take care of these above. 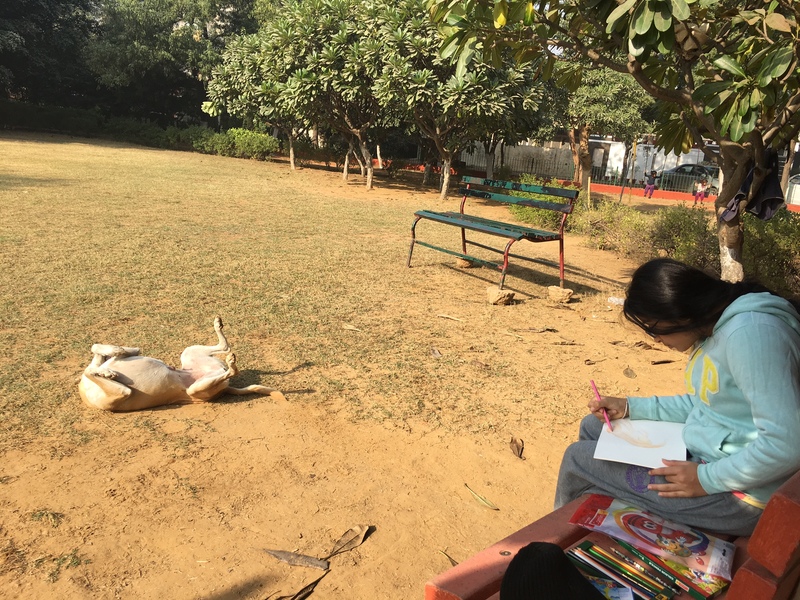 4th:clicked by me of my daughter sketching her favourite model, Happy, who refused to be still! This entry was posted in attitude, behaviour, philosophical issues, social issues, Travel issues and tagged 2017, hair, hairwoes, resolution. Bookmark the permalink.